Sup? 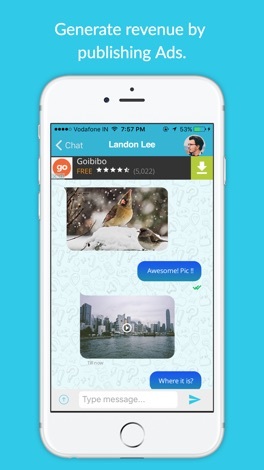 Messenger is a smartphone messenger available for iPhone and other smartphones. Sup? uses your 3G or WiFi (when available) to message with friends and family. Switch from SMS to Sup? to send and receive messages, pictures, audio notes, and video messages. If this is not enough you can now even place AUDIO and VIDEO calls directly from your Sup? app to talk to other Sup? users around the world ! All this for FREE ! If you want your own branded messenger app , please get in touch with us at www.appscrip.com ! 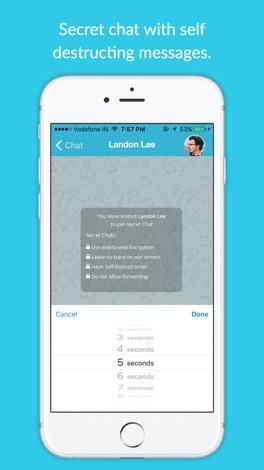 * NO HIDDEN COST: Once you and your friends download the application, you can use it to chat as much as you want. Send a million messages a day to your friends for free! Sup ? uses your Internet connection: 3G/EDGE or Wi-Fi when available. 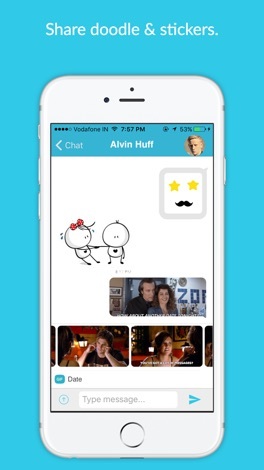 * GROUP CHAT: Enjoy group conversations with your contacts and set a group icon. * NO INTERNATIONAL CHARGES: Just like there is no added cost to send an international email, there is no cost to send Sup ? messages internationally. Chat with your friends all over the world as long as they have Sup? Messenger installed and avoid those pesky international SMS costs. * SAY NO TO PINS AND USERNAMES: Why even bother having to remember yet another PIN or username? Sup works with your phone number, just like SMS would, and integrates flawlessly with your existing phone address book. * NO NEED TO LOG IN/OUT: No more confusion about getting logged off from another computer or device. With push notifications Sup? is ALWAYS ON and ALWAYS CONNECTED. * NO NEED TO ADD BUDDIES: Your Address Book is used to automatically connect you with your contacts. 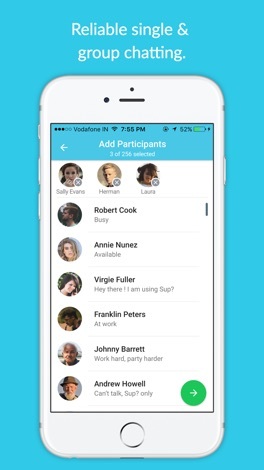 Your contacts who already have Sup?Messenger will be automatically displayed under Favorites, similar to a buddy list. 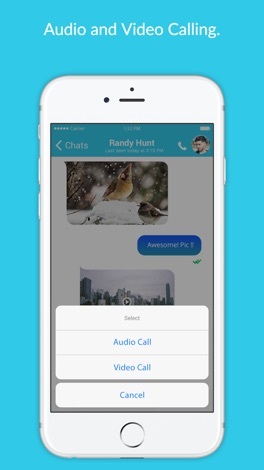 * VIDEO CALLING : Place video calls to other app users directly from the app , just like on viber or skype. * AND MUCH MORE: Share location and places, Exchange contacts, Landscape mode, and much much more! Discover the best restaurants in Omaha, Nebraska! Omaha Dines features the area’s best restaurant reviews and dining news from Sarah Baker Hansen of the Omaha World-Herald. AIA Wisconsin Conference on Architecture is an annual knowledge, networking and expo event for the design and construction industry. This app offers schedules, maps, contacts and more for attendees and industry partners attending the event.